From The History Press: Hidden down alleyways, on street corners or on the bricks above the cityscape, Cincinnati’s fading advertisements hide in plain sight. These ghost signs still tout their wares and services, remnants of a bygone era. Each sign has a vivid story behind it unique to its era, product and craftsmanship. “Wall dogs” like sign artist Gus Holthaus left their marks on the city. A sign for the Beehive, the club and restaurant at the top of the arena, reminds residents of Cincinnati’s pro hockey team, the Stingers. Not many can remember “the Other Place,” but a hand-painted advertisement still adorns a city wall. 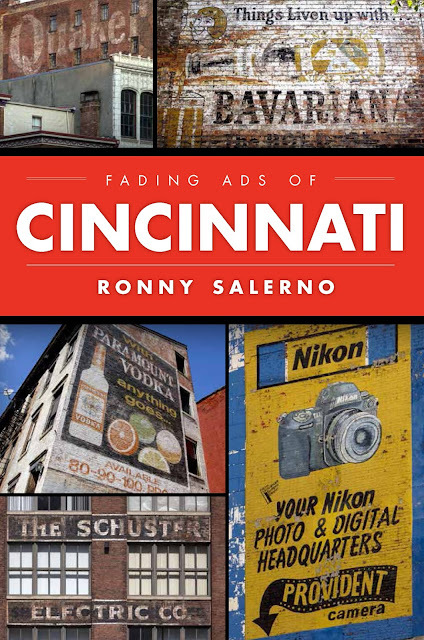 Join author and photographer Ronny Salerno for a tour of Cincinnati’s vanishing signs and their intriguing history. Fading Ads of Cincinnati is now available in stores and online. You can order through Arcadia Publishing, Amazon or Barnes and Noble. This book is also available in Cincinnati area bookstores such as Joseph Beth, The Booksellers on Fountain Square, Barnes & Noble (West Chester), and The Bookshelf. There's a reason behind every photograph made, behind every subject you choose to shoot. Over the years, I've had the opportunity express my thoughts through a visual medium. This book is a collection of work spanning 5 years (2007-2012). It's a documentation of the places I'd been to and the people I'd met, the reasoning behind my decisions expressed in still images. Coinciding with five years of QueenCityDiscovery.com, I put together a collection of some of my favorite photographs from the past half decade. 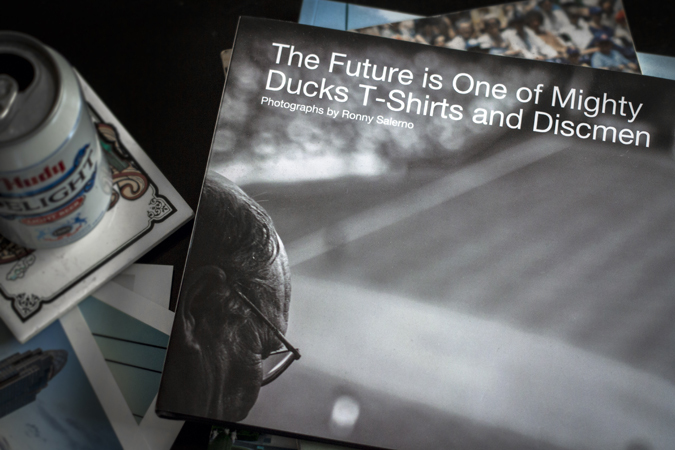 It's a self published book that I don't make much off of, but if you care to buy it - there's 44 high-quality photographs and a brief explanation behind the title, and it's dedicated to my late friend Doug. At the very least, it makes a good conversation piece for your coffee table? The book is available in soft and hard cover through Blurb and can be purchased here.